Most people dread laundry day but with our super tips, you'll be celebrated as Laundry King or Queen in your household! Wash in cold water. Cold water is a better option not only for dark items, but all colours as it won't shrink fabrics, is colour fast, and won't set stains. Treat stains as soon as possible! There are various to treat stains, and many of them are all natural. Boost your laundry with vinegar. When you use vinegar properly, you can brighten your clothing, remove odors, protect dark colours, and soften fabrics. Don't overuse detergent. Use the amount listed in your machine's manual or on the laundry soap bottle. Wait until your clothes are in the machine to determine the size of the load. Sometimes the pile looks bigger on the floor or in the hamper than it does in the machine. Clean your washing machine. This is a very important step in getting your clothing clean. 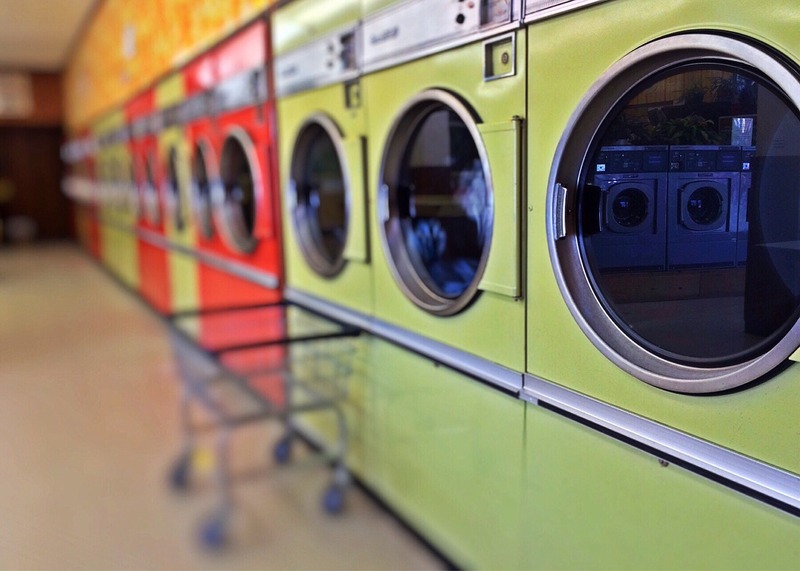 A dirty machine can add a smell to your clothing and can cause the machine to wear out faster. If you don't have a self-cleaning machine, check out this great advice. Many front load washers tend to get a musty smell if the door is shut immediately after emptying a freshly washed load. Keep a small towel handy for wiping the rubber closure dry, or leave the door open to air dry the unit. Save energy and time. Dry clothing faster by adding a fluffy towel into the machine. Wait 15 minutes, then remove it. The towel will help absorb moisture in the load. (Keep in mind some fabrics should avoid being dried along with a towel- check your labels prior to drying). Save your sheets. Cut fabric softener sheets in half for smaller loads, to make your stock last longer! Easily de-wrinkle. If your clothes are wrinkled, toss them in the dryer with a damp towel and dry on a low setting. Some dryers have a 'refresh' or 'wrinkle' setting that steams your clothes and dries on a low setting, achieving the same effect. Make hand-washing easier! To dry hand wash only items, use a salad spinner. This allows you to remove excess water easily and then hang or lay flat to dry. Invest in a compact laundry rack. Find one that folds up for easy storage. Hanging wet clothes on your balcony is usually a no-no...use the rack instead! Don't like visiting a laundromat every week? Our luxury suites at 66 Isabella have 6 appliances, which include a washer and dryer!